Written by Pat Blamire on November 5, 2018 . Posted in Learn. Lindajane and Trevor Thomson, Chartered clients living in Knysna, recently did the Chokka Trail. It was an opportunity to taste our export quality calamari (chokka means calamari) and to enjoy the beautiful surrounds from Knysna to Cape St Francis. According to Lindajane and Trevor, the South African chokka, which is imported overseas and which we don’t even get to taste, is absolutely delicious! “After tasting it, you won’t eat the calamari we are served in South Africa, which evidentially comes from the Falklands,” say the Thomsons. 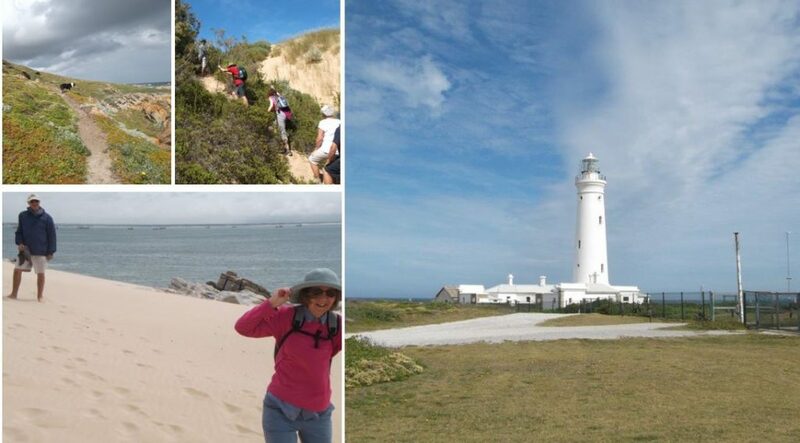 The Trail was also an amazing experience, with interesting walks along the coastline. The most challenging day was 17km on sand – very tough! All in all, this was a unique and satisfying experience: gastronomically, aesthetically and in keeping physically and emotionally healthy. Could this be your next adventure?